This cartoon is just ridiculous. The printer will be much bigger and the parents will be standing right next to it, waiting for the baby, not looking at their computer screens. But other than that -- if we're already producing body parts with printers, how long before we produce whole people? Yes, we have a ways to go. But perhaps not as far as some would think. But a lot of people will probably opt for it instead of the traditional method even though the traditional method would work for them. This is not just a matter of convenience. Childbearing is a process fraught with pain and danger. It takes a long time and it's hard on a body in a lot of different ways. The debate between "natural" and "modern" childbirth will simply take on a new dimension. 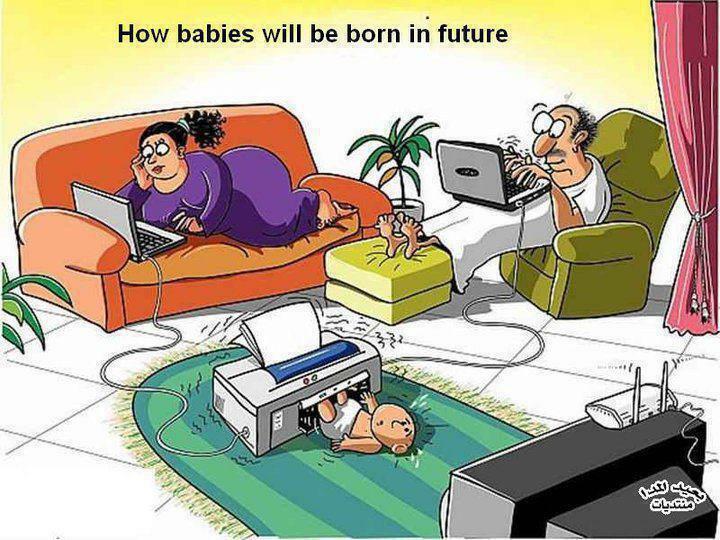 Think of the baby printer as the ultimate epidural.